Two Blade Mini Leg Knife Masonic | BUDK.com - Knives & Swords At The Lowest Prices! This collectible Mini Leg Knife is perfect for any Free Masons! This knife features two stainless steel blades with stainless bolsters and pins. 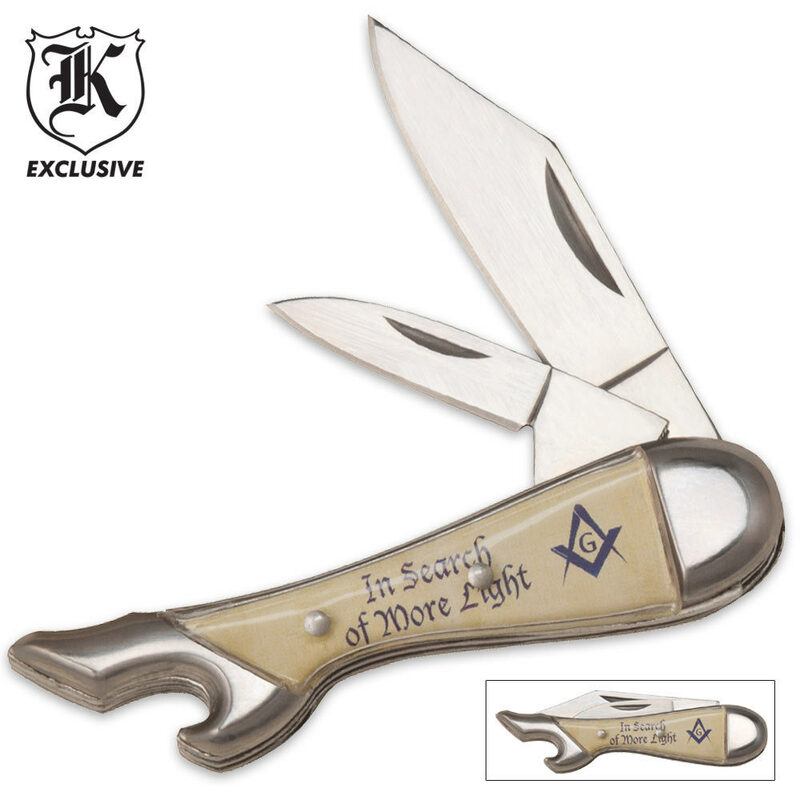 The handle is accented with an acrylic Masonic symbol with the words “In Search of More Light." 3 1/8" closed. Nice knife and very sharp.